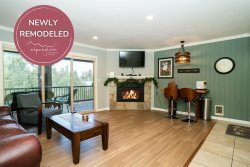 At Alpenglow Vacation Rentals we are excited to introduce to you the many fun indoor and outdoor activities that Central Oregon is known for and all promoting adventure, beauty, and healthy living. Below are our favorite local restaurants, eateries, wine bars, coffee houses, and service industry businesses that are ready and willing to help you to embrace the reason why we love calling Central Oregon home. There is something for everyone, all ages, experience levels, all seasons of the year. You'll find additional information in your Alpenglow Vacation Rental on each of these companies' services and rates. In addition to guidebooks and maps to design your own adventure while visiting Bend. Considering there is so much to do when you visit Bend, we`ve highlighted a number of popular activities to help you start planning your excursions when you arrive. From wintertime fun on the slopes to local craft beer tastings, we`ve got it all! Need a haircut or styling during your Bend vacation? See our recommendations for spa and hair services!